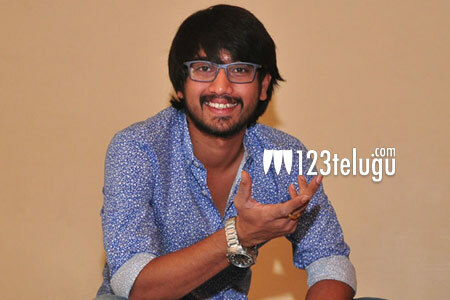 Young hero Raj Tharun, is slowly but steadily making his presence felt in Tollywood. He is now back with his latest film Edorakam Aadorakam. On the eve of the film’s release, we caught up with him for a brief interview. Here is the transcript. Q)How did you bag this film ? Our director, Nageswara Reddy gave me the CD of the Punjabi film and asked me to watch it. Post the screening, he narrated me the story by setting it in Telugu nativity. I liked his narration and okayed the film instantly. Q)What attracted you towards the film ? The confusion comedy in the film attracted me big time. Also, the way the film has been narrated in a hilarious way clicked with me big time. Q)What is your role in the film ? I play a happy go lucky youth called Ashwin. All I do is keep lying throughout the film and how I get into problems is the whole film all about. Q)How was it working with Rajendra Prasad ? Initially, I was very scared to work with such a senior actor. After seeing his joyful nature and closeness with everyone, I settled down and had a great time shooting with him. Q)Your working experience with Vishnu ? Everyone scared me that Manchu family will dominate the proceedings and I will be over shadowed. Vishnu is a very affectionate person and took care of me supremely well during the shoots. I learnt a lot from him and our chemistry has come out wonderfully. I have films lined up with Dil Raju, Geetha Arts and director Vamsi. All are in scripting stages and will go on floors soon.